Leather sofa cleaning is best done by experienced experts like those working for our company. We specialise in providing expert leather sofa cleaning throughout SW7 Kensington at moderate rates. The secret of our highly successful service is simple – we use professional leather cleaning detergents and foams and clean customers’ upholstery by hand to ensure the effective, yet gentle removal of all soils and grime from your leather furniture. Leather sofas tend to get very dirty over the long years of use; grime becomes deeply ingrained in the fabric if you put off cleaning it. 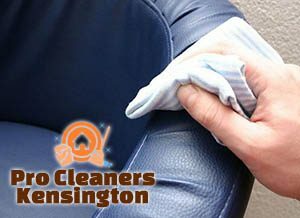 The quality leather sofa cleaning, we offer in Kensington is the best solution to this problem. We are committed to satisfying our customers after each cleaning session, which is why the company employs only vetted, competent and trained cleaners who know how to handle different types of leather and remove a vast variety of soils from your leather upholstery. We believe in maintaining an open and honest relationship with our customers. That is why we always provide them with free inspections which enable our expert cleaning team to evaluate the leather’s type and determine the stains’ origin. We draw the price for our high-end services in advance, but it is you who decide whether to book us or not. The team will decide which approach is suitable for your leather sofa. Provided that they are dealing with finished leather, the team will opt for the basic approach where the stains are pre-treated with powerful, yet safe detergents so they can loosen and be removed with ease. Unfinished leather is more susceptible to cleaning solutions and should not be wetted, which is why the cleaners will apply a specialised leather cleaning foam in this case. Either way, you can rest assured satisfactory results will be at hand. 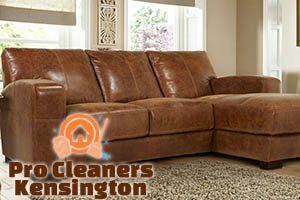 Appointments for our expert leather sofa cleaning in SW7 London are made over the phone or by filling in the service form, available on our website. We expect hearing from you soon!